Under the 25th Amendment to the Constitution, the vice president, together with a “majority of either the principal officers of the executive departments or of such other body as Congress may by law provide” can remove the president for being “unable to discharge the powers and duties of his office.” No doubt the mere mention of incapacitation would summon a horde of lawyers to Washington to contest it or the meaning of every term. While the first three films in the family-friendly Night at the Museum franchise have starred Ben Stiller and struck a more secular tone, the series will be pushing to win over evangelical audiences in late 2017 with Night at the Creation Museum, this time starring creation scientist Ken Ham. It must be Luther year or something. I’ve not seen this number of Luther books since 1917. 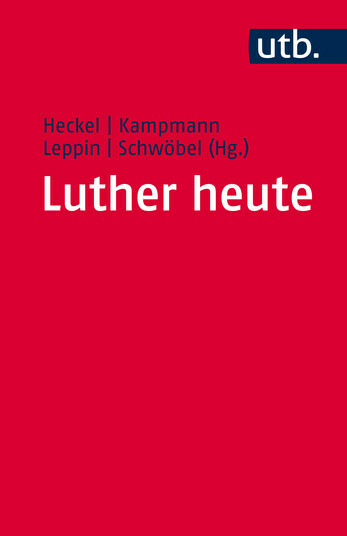 In diesem Buch werden die Hauptthemen reformatorischer Theologie beleuchtet, die für die evangelische Kirche grundlegend sind, eine starke Wirkungsgeschichte entfaltet haben und bis heute das kirchliche Handeln wie das gesellschaftliche Leben prägen. Dabei sollen die zentralen theologischen Anliegen Martin Luthers einerseits in ihren Grundzügen historisch sorgfältig dargestellt, andererseits in ihrer Bedeutung für Kirche und Gesellschaft heute deutlich gemacht werden. Die einzelnen Beiträge sind für den Vortrag in einer Ringvorlesung der Evangelisch-Theologischen Fakultät in Tübingen zum Reformationsjubiläum im WS 2016/17 konzipiert worden. Der Band bietet einen konzentrierten Überblick über die wichtigsten Themen reformatorischer Theologie und Lebensgestaltung aus der Sicht unterschiedlicher Disziplinen. Er ist gedacht für alle, die sich für die Relevanz der Reformation für Kirche und Gesellschaft heute interessieren. In celebration of the 500th anniversary of the Reformation, ISD will be highlighting titles on Reformation history and theology throughout the year. Here we present special offers on the series “Refo500 Academic Studies (R5AS)” from V&R Academic. Refo500 focuses on the religious, theological, political, social, legal, and cultural dimensions of the Reformation. In this series, monographs and thematic collections will be published in English, German and French. The series is characterised by an interdisciplinary approach, international cooperation, and a high scholarly level. Orders are welcome by phone, fax, by email to orders@isdistribution.com, or through our website. We are happy to offer a standing order discount of 20% on this series. If you are interested in only an individual volume, simply quote promotional code 808-17 and the special offer price will be applied through April 7th, 2017. The most recently published volumes in this series are below. Follow this link to learn more about all available volumes. From different perspectives this book studies the role of Reformation theology in the shaping of Danish society and the social dimensions of Lutheran confessional culture. The book develops an approach making it possible to draw strong conclusion about the social teaching of Luther and its impact on the development of the Danish society. It works on a conceptual level by analyzing the social dimensions of key Lutheran concepts and their translation into the doctrine of the three estates (church, household, and state), and on the level of lived experience of life within these three orders, not at least within the household forming the ideal form also for church and state. Visit our website to learn more about this title here. Frances Luttikhuizen chronicles the arrival, reception, and suppression of Protestant thought in sixteenth century Spain-referred to at that time as ‘Lutheranism’. It opens with several chapters describing the socio-political-religious context that prevailed in Spain at the beginning of the sixteenth century and the growing trend to use the vernacular for parts of the Mass, as well as for catechizing the populace. The final chapters focus on the exiles and their contributions, the persecution of foreigners, and the years up to the abolition of the Inquisition. The work concludes with the efforts made in the nineteenth century to rediscover the history of the persecuted sixteenth century Spanish Protestants and their writings. Visit our website to learn more about this title here. 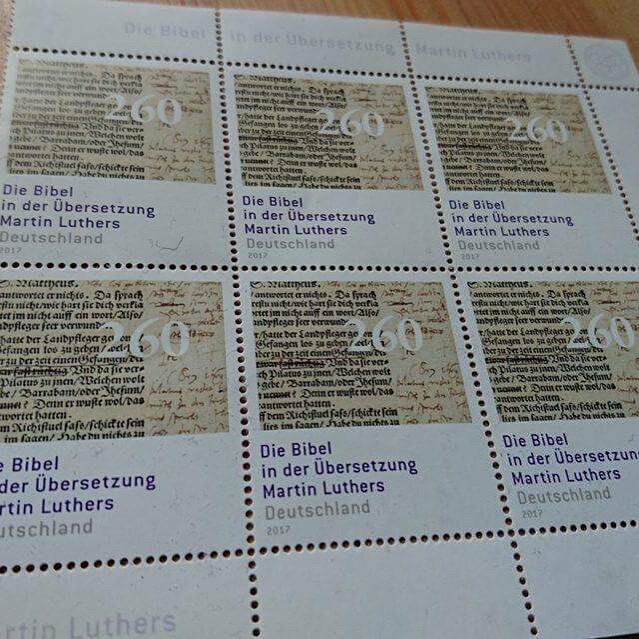 The Germans have issued a stamp commemorating Luther’s translation of the Bible and James Aitken has acquired a sheet while visiting the Deutschlandern and is putting it in the mail. So, thanks James. I do love me some Reformation memorabilia. When Calvin turned 500 the French did a commemorative stamp and I got a sheet now framed and hanging on the wall. The same fate awaits these beauties. Because I’m a nerd like that. Luther’s description of the Papacy fits Donald Trump to a t, doesn’t it. 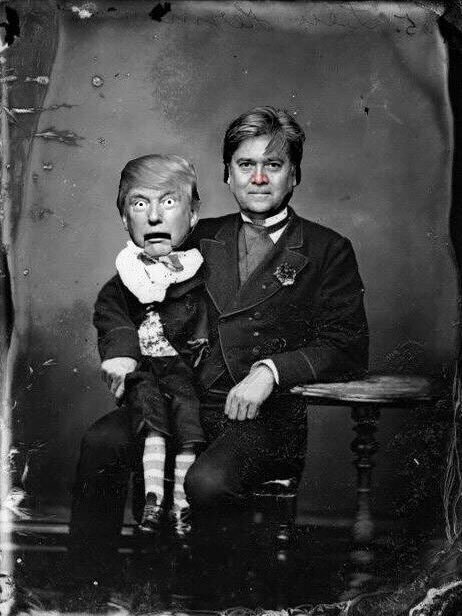 Amazing how little tyrants change over the centuries. There’s only one Christian response to refugees and migrants. Just one. I’m pretty sure Luther could take Calvin. The former was a pudgy monk and the latter was a skinny and frail sickly lad. What are the differences between Lutherans and Calvinists, and do they really matter? In Wittenberg vs. Geneva, Brian Thomas provides a biblical defense of the key doctrines that have divided the Lutheran and Reformed traditions for nearly five centuries. It is especially written to help those who may have an interest in the Lutheran church, but are concerned that her stance on doctrines like predestination or the sacraments may not have biblical support. To get to the heart of the matter, Pastor Thomas focuses solely upon those crucial scriptural texts that have led Lutheran and Reformed scholars down different paths to disparate conclusions as he spars with popular Calvinist theologians from the past and the present. I’ve been sent a review copy and have spent the last couple of days reading it (though to be fair it can easily be read in a day). Thomas handles the material he does handle well enough but he makes the same mistake that too many make when they talk about something they call ‘Reformed Theology’ – they only mean ‘Calvinism’. Indeed, there seems to be some absurd notion out there that Reformed theology equals Calvinism and Calvinism equals Reformed Theology. And that is historically totally inaccurate. To be sure, the title of the book leads readers to believe that Luther and Calvin’s views will be the core of the work but then Thomas insists, pathologically, on talking about ‘Reformed Theology’ without so much as referencing Zwingli or Oecolampadius even though he does mention Leithart and Melanchthon. Melanchthon, of course, is worthy of mention but Leithart? While excluding Oecolampadius and Zwingli? Ridiculous. Even the sources which Thomas utilizes for his explication of Calvinism (I shan’t call his explication an explication of Reformed Theology because it isn’t) are quite narrow. Horton and Sproul are, by and large, good scholars. But no one believes, do they, that they are the standard bearers of Reformed thought. And if they do, they shouldn’t. Thomas’s problem is that he left Calvinism (Presbyterian type) and adopted Lutheranism. He has an ax to grind and grind it he does. Regularly throughout we are informed that the Lutheran viewpoint is the more scriptural viewpoint. And, naturally, Thomas is free to believe that if he wishes. He is not, however, justified in saying that the Lutheran viewpoint is more scripturally oriented when he ignores Zwingli and other founding Reformed thinkers with the aplomb of a blonde cheerleader ignoring the hapless chess club geek at the school prom. I would very much like to recommend this book, but I cannot. Unless the potential reader is a Lutheran apologist. Then, and only then, will it be found useful. Otherwise, it has been placed in the scales of theological enquiry and found wanting.